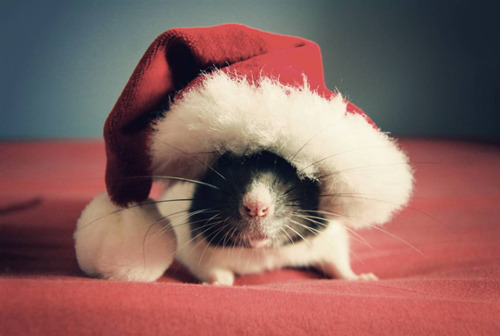 Twas the night before Christmas and all through the house, not a creature was stirring except for the eBay mouse. The mouse saw that a good deal was found, he had to make a purchase especially one so sound. A few days later a package appeared and the mouse found that his purchase was not to be feared. The mouse was so happy with this new scent, that there was no doubt in his mind that his money was well spent. WHAT I SMELL: Nuit de Noel opens with a surge of dry oak moss with hints of florals rising out of the from the mossy base. It doesn’t take long before a spicy presence makes itself known. But I hate to use the word “spicy” because I think you instantly think of something heavy and dominating. But it’s not the case here as it’s just this a layer of warmth, which is like putting on a fur-lined glove on a cold winters day. I wish I could say that I could distinguish the florals in the fragrance, but they are blended so wonderfully that nothing sticks out. After some time, the oak moss dissipates and you’re left with this wonderfully creamy floral haze of a fragrance. 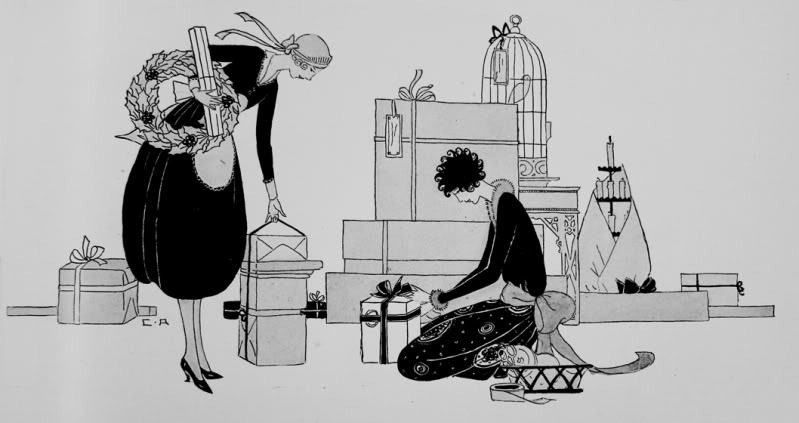 Nuit de Noel is pretty, feminine and from another era. I love it. In 1922, after the trauma of the First World War, Europe is seized by a frenzy of celebration and exotic escapism. 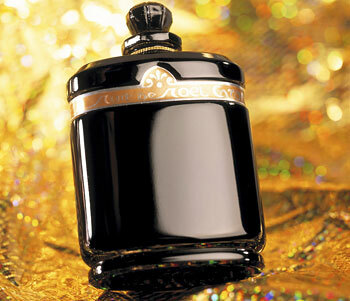 As a testament ot the crazy years, CARON launches NUIT DE NOEL. NUIT DE NOEL, whose name along is evocative of a magical, fairytale evening, this day continues to spawn a series of iconic limited editions. Pure design theatrically inspired by the roaring twenties, an opaque black glass bottle, encircled with an “urchin” style gold band conjures up all the mystery of a bewitching Christmas Night. Top notes are ylang-ylang, tincture of rose and jasmine; middle notes are sandalwood and oak moss; base notes are musk and amber. WHAT IT SMELLS LIKE TO ME: I can’t say that Nuit de Noel reminds me of Christmas. I’m not sure what it reminds me of except that is feels classic and timeless. But now that I have this as part of my collection, I’m going to make it my new tradition for wearing during the holiday season and specifically on Christmas Eve from this year forward. BOTTOM LINE: This is one of those successful blind buys so I can’t speak for the EdT version of the fragrance, but have heard mixed things about it. I could see where if this was thinned out, that it might not be the same deep and haunting floral as the parfum extrait is. I could easily see my mother wearing this as she was getting ready for a party circa 1965. To me, that makes this a warm fuzzy of a fragrance. I think the mouse did an excellent job of finding this rather perfect holiday fragrance! Categories: Caron | Tags: 4 bones, Caron, fragrance, Nuit de Noel, oriental floral, parfum, Perfume, review | Permalink. OMG! Houndie, congratulations on your succesfull blind-buy! I have never tried Caron Nuit de Noel but now I HAVE TO! It sounds lovely, and very festive and very appropriate right now. And that bottle is to die for! Lucas – this was a complete surprise. I’m glad that I went for the Parfum vs. the EdT as I think I would have bypassed my love for this with the latter. And yes, the bottle is like an old time jewel. So delicate and pretty. You must be very happy now to have such a treat before Xmas. Afternoon from The Cookie Kitchen. OMG – this sounds right up my alley. I need to find some. Vienna on Thursday, perhaps I will. Thanks! Val – please do and report back as to what you think. Actually, I just put some on and again I am swimming in its loveliness. I think this is going to go down as one of my favorite purchases of the year! I love your poetry Mr Hound. We have the same species of mice in the Lands Down Under. Glad you are swimming in this scent. I was wondering where you found that cool photo but it became clear as I read the post. Wow, and now it is yours. What a treasure inside and out. Happy Christmas to you and your loved ones. Jordan…yes, in hindsight, I think the mouse is more of a rat…but he has on a santa hat so we’ll let him believe he’s a mouse. Happy Holidays to you and yours Mr. River! I imagine that this is what every Perfumista in the world wears on the eve of Christmas like a world-wide communion of scent. Will give it another go if I can prise the bottle back from my Mum! Was all set on Ma Folie de Noel for Christmas Eve but I will do that on the Eve morning and Nuit de Noel for the nuit. Beautiful. Ma Folie de Noel sounds interesting. I can’t imagine what anise and a whipped cream combination smells like! And I like you’re thinking, we must have various spritzes throughout the day! While I do not care much for the perfume (at least in EdT that I tried) I just loved your introduction! What an extraordinary bottle, I would dearly love to smell inside it’s glorious interior! The Art Deco bottles is from my favourite design era. My delicious, but less elaborate, bottle of Caron is Eau De Reglisse which is also very redolent of Christmas. It smells of ginger and spicey licorice and sweet honeyed citrus, I shall be wearing this fine treat next week as I count down to Christmas Day. My dear the juice inside the bottle is just as divine. It’s funny, the bottle looks like it would be big, but it’s rather small…and very elegant. I’m not familiar with Eau De Reglisse but it sounds wonderful…this time of year, a licorice note can be just the perfect thing. Thank you, I think so! Happy Holidays! I am so jealous I can’t breathe!! How utterly fabulous for you Steve. I have a decant of the Vintage Parfum and it is gorgeous. I also have a bunch of other strengths and vintages, still to find one I don’t like. I know it’s meant to be worn Xmas Eve but I’m wearing it Xmas Day this year, probably in 40 degree celcius heat. It will bloom. Thanks for the review and how beautiful is the bottle? Did it come in the tassled shagreen box? What a find, Houndy! I am officially jealous of your mad skillz in sniffing out (no pun intended) the best deals of the best perfumes. Wishing you and you hubby a wonderful Holiday. Enjoy your vacation! Well, it was a deal Haju, but I’m not sure how much of a deal. But who care, as long as I love it and own it, its a great deal! Happy Holidays to you and yours too my dear. would you post your top 2013 fragrances list ?